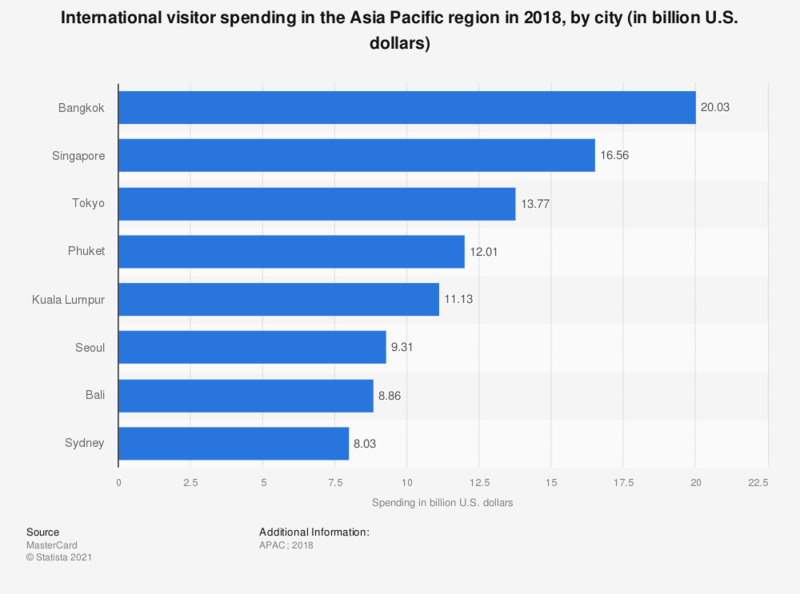 This statistic shows the leading cities in international visitor spending in the Asia Pacific region in 2016. Singapore had the largest international visitor spending in the Asia Pacific region in 2016 with 15.69 billion U.S. dollars. Data taken from Asia/Pacific cites with the most international visitors.